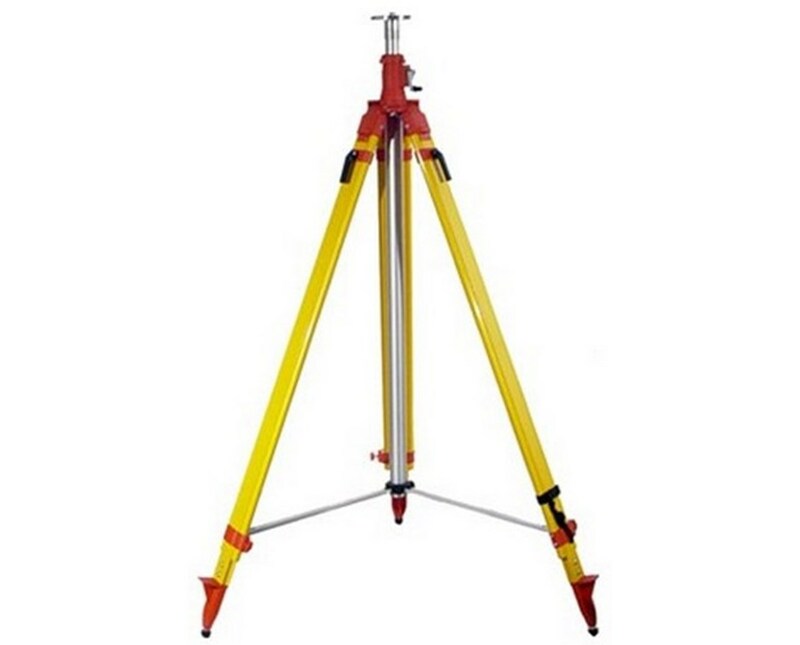 The Agatec Heavy-Duty Elevating Tripod is a versatile mounting tool that securely holds various construction and surveying equipment such as rotary lasers. It features extendable legs that allow adjustable height ranging from four feet up to 11 feet. Equipped with an elevating center column, it offers additional ten-inch height extension providing an overall elevation of 12 feet. It comes with locking knob and folding crank to ensure easy and secure height adjustment. This heavy-duty elevating tripod by Agatec is highly stable with its center support that can be adjusted to prevent the legs from slipping while in use. For additional stability, it has lockable tri-brace section that keeps it steady when working at different angles. Its pointed metal feet are perfect for rugged terrains while the removable rubber feet covers are excellent on smooth, slippery surfaces making it ideal for both indoor and outdoor applications. 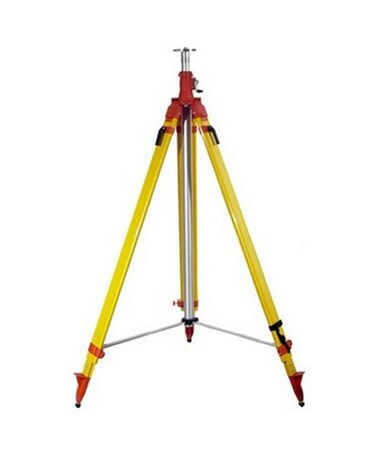 To ensure precision leveling and accurate placement at all times, the Agatec Heavy-Duty Elevating Tripod includes a built-in circular vial on its head. Its flat head comes with 5/8-11 thread to enable hassle-free mounting. Made of heavy-duty fiberglass material, it is durable and long-lasting. It has yellow finish with red trimming and is easily visible at any jobsite. Height: Up to 12 ft.